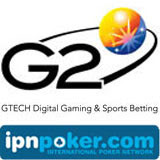 The Bad Beat Jackpot on GTECH G2’s International Poker Network (IPN) has just gone over €330,000. The player that actually wins the hand will get more than €50,000 and another €50,000 will be split between the other players at the table. The IPN Bad Beat Jackpot was last hit in August for €412,000. That winner wasn’t even aware he’d won it until someone else at the table pointed it out to him. He thought he’d just lost the pot despite having a great hand, which is frustrating for any poker player. Details of the IPN Bad Beat Jackpot are available at participating online poker rooms. There is a list of International Poker Network poker sites at http://www.ipnpoker.com/ipn_poker_rooms/area-52.html. Nice work on your poker. Please feel free to include this on your website. This is simply unbelievable!